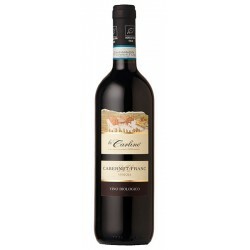 Italian organic red wine with 100% Cabernet Franc grapes. Deep ruby red color tends to garnet with age. It’s a bio wine with an intense, winy, herby flavour that becomes elegant and generous with age. Enjoy it best with roast meat and game dishes. Typical wine from the DOC Lison Pramaggiore area, famous for its bouquet and flavour. Deep ruby red tends to garnet with age. An intense, winy, herby flavour that becomes elegant and generous with age. A dry, herby full-bodied flavour, slightly tannic but well-orchestrated. Ideal with either white or red roast meat and game.